10% Discount for all bookings in April and through May 14th. Or book 3 nights and get 4th night free. 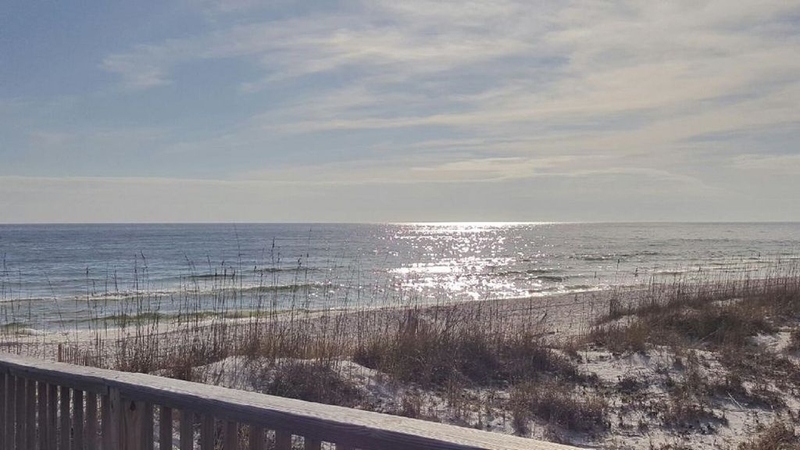 This stunning 3 bedroom condo is located on Little Lagoon and within steps to the Beautiful white sandy beaches on the Gulf of Mexico. 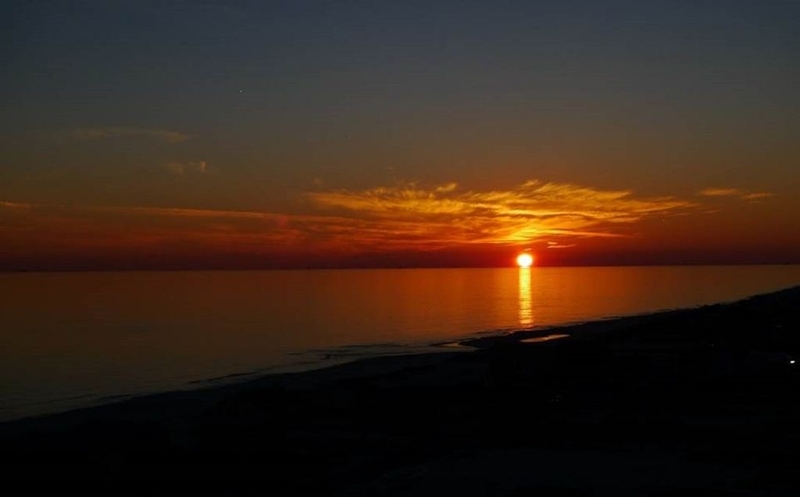 Little Lagoon is known for it's amazing sunsets and with the wrap around balcony, you also have a view of the ocean. Owners upgraded condo in 2017 with New Sofa, and all new mattresses and many more! We also have free wifi. 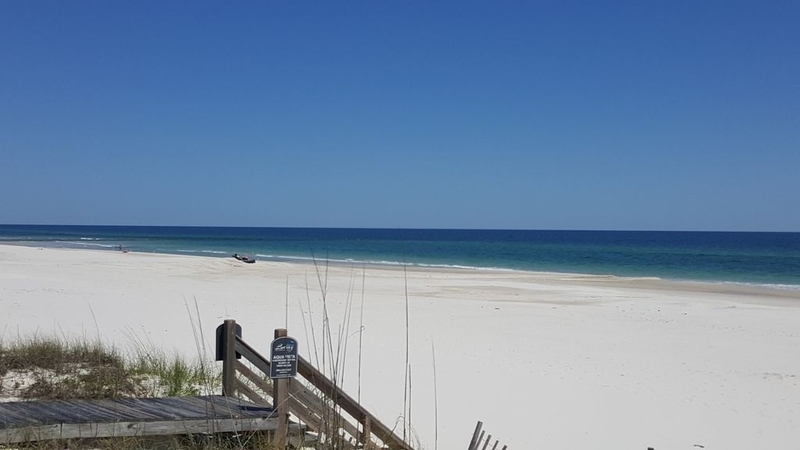 Unlike most properties located across the street, Lagoon Run has it own deeded beach access and walkway which takes only minutes to have your feet in the soft white sands of our Beautiful beaches. 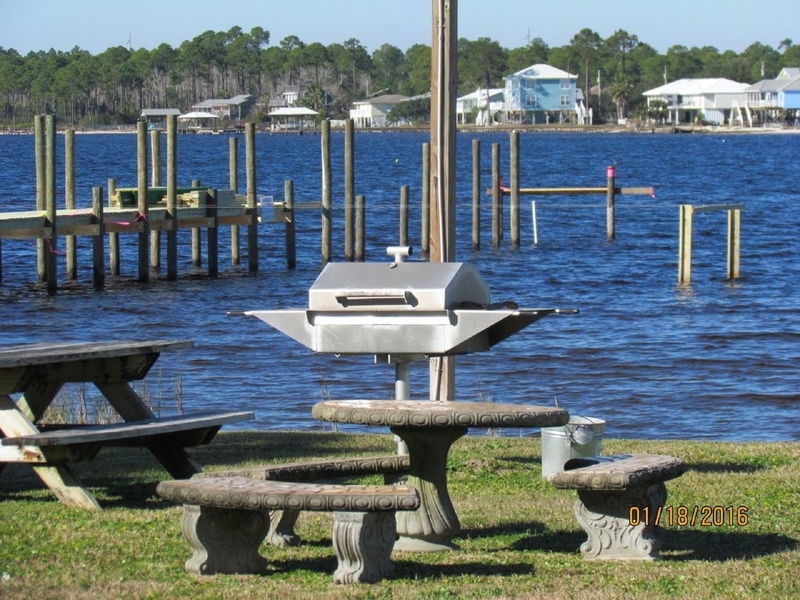 Our condo is fully equipped with everything you would need for your vacation. 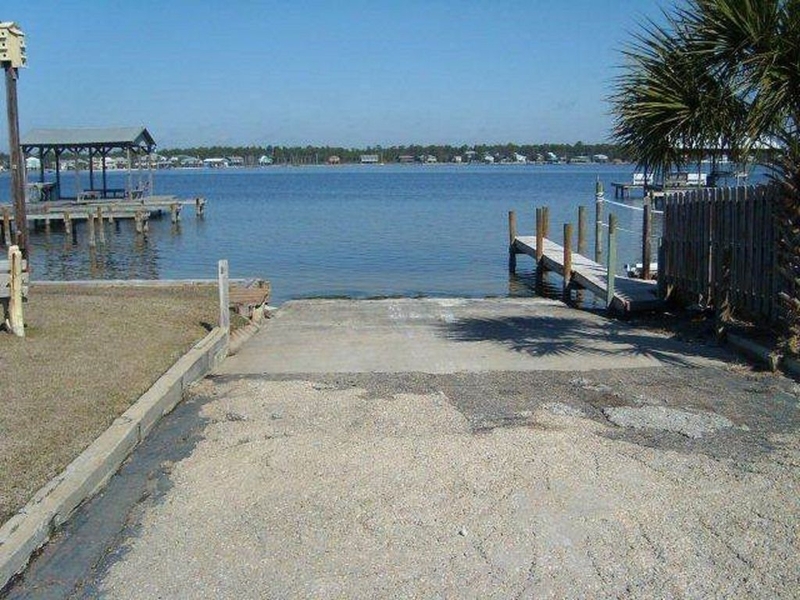 Also unlike most properties, we have our own boat launch and boat slips for our guests. 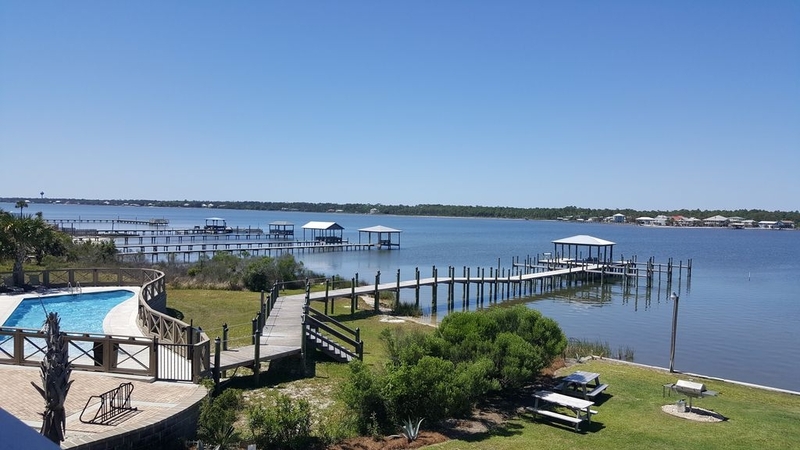 You can enjoy fishing, crabbing, grilling, jet skiing, kayaking or just relaxing and enjoying the beautiful sunsets from the deck. We had a great time. The condo was very clean and cozy! Nice quiet peaceful place. Will return. Loved sitting on the deck with morning coffee and at night. So serene. We loved facing the Lagoon, which is actually a large lake. 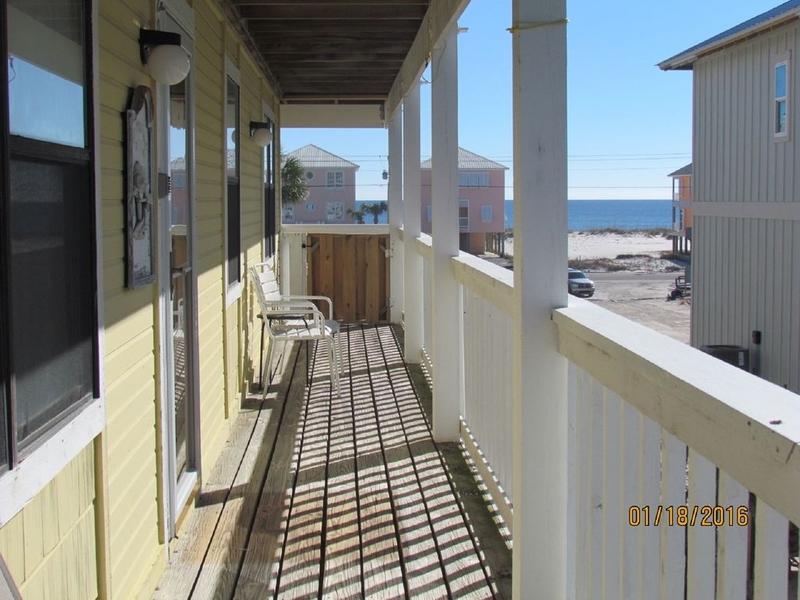 The wrap around balcony with table, chairs, and porch swing was the perfect spot for meals and for storing all our beach gear. We brought our own kayaks, and stored them easily on the dock area for easy access. One disappointment was that the pool was not heated. It was colder than the ocean! The ocean was right across the street, and not very crowded in our location. 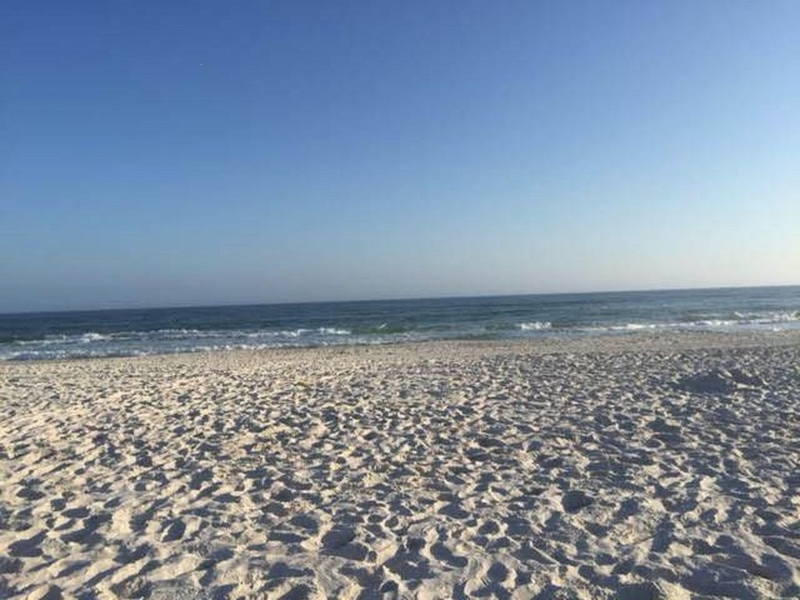 Beautiful beach. I gave this 4 stars instead of 5, only because our bed was quite uncomfortable, the bedrooms were small, and the outside railings and decking was badly in need of a paint job. Painting was needed on the whole complex though, not just this unit. Would I go back? Yes! Great location, spacious condo, fantastic management! We were very pleased with this condo and with our interaction with management. 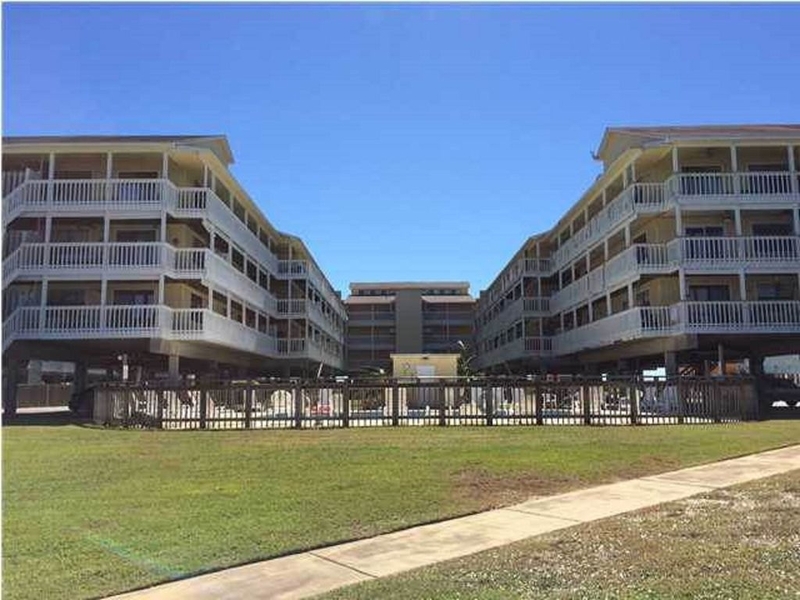 First of all, the condo is very well placed for both beach AND lagoon. 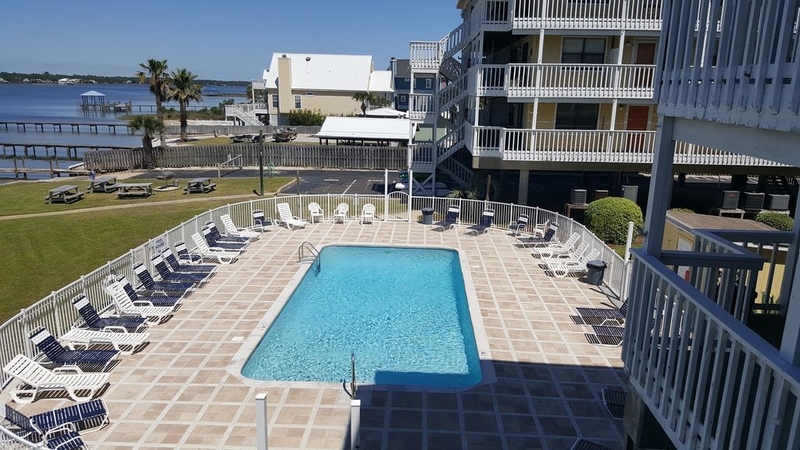 The beach access is literally across the road, while the lagoon is in the backyard, together with a private dock shared with the other condos in the complex. 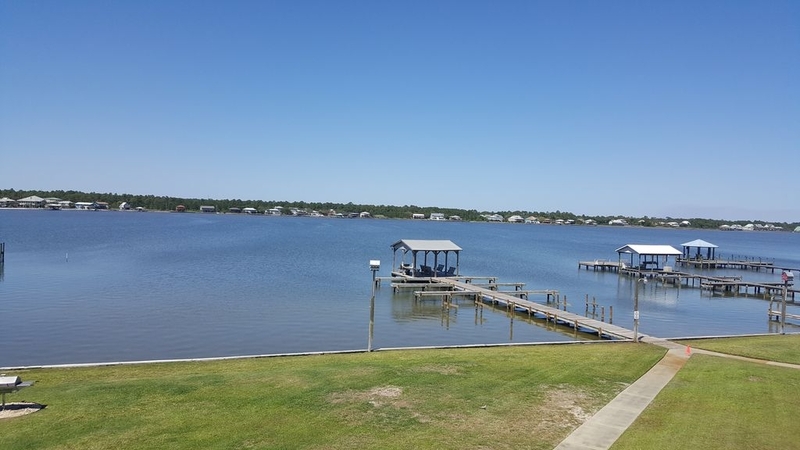 This particular unit overlooks the lagoon and has that advantage over many others in the complex. The shared pool is nice, but spends much of its time in the afternoon in the shade. I was impressed with the amount of space in the unit. I will also tell you that the management was excellent! We were forced to leave a day early due to an incoming hurricane, but management wasted no time in making things right for us. Just excellent service all round. Thank you! We wanted to celebrate my brother and a milestone birthday and this place was perfect. It was comfortable and so very close to the beach. The private access was especially nice at night to watch the sunset and enjoy the beach without my Irish skin burning. 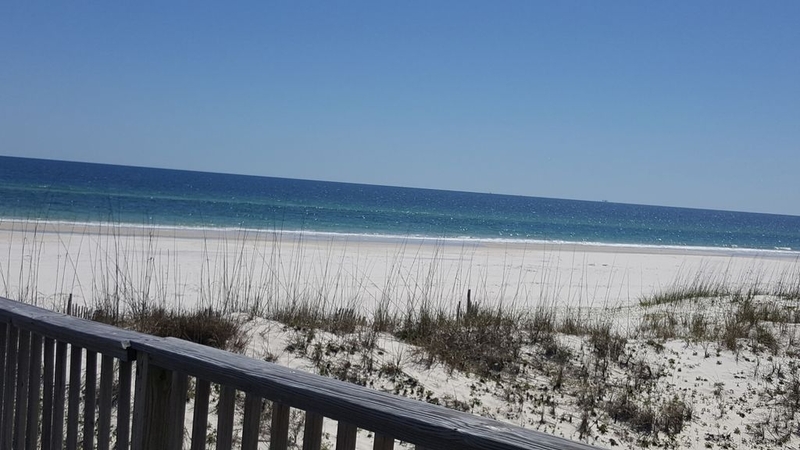 The size was perfect for me and my family of six and we were pleasantly surprised to find beach umbrellas and chairs in the closet for us to borrow. The owner was extremely helpful and responsive. Will definitely stay here again! Beautiful place for our family vacation! We had quite the group with us from grandparents to kids aged 14 years-8 months old. The condo was ready to go and equipped for a family. 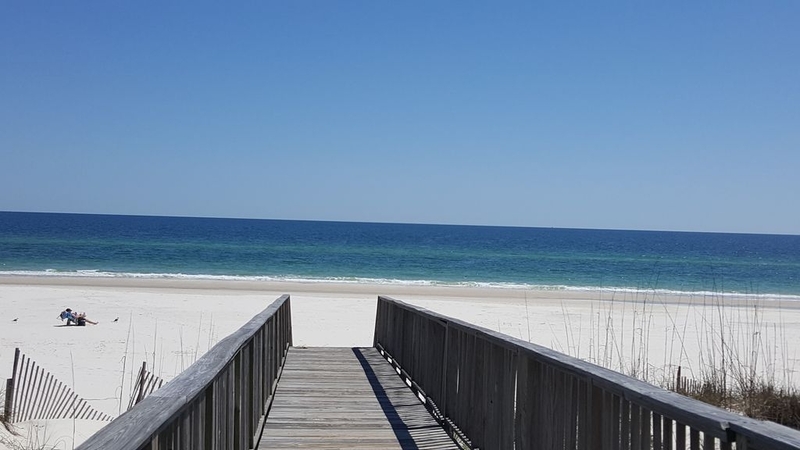 Everything we needed from cooking to going to the beach was already there for us. 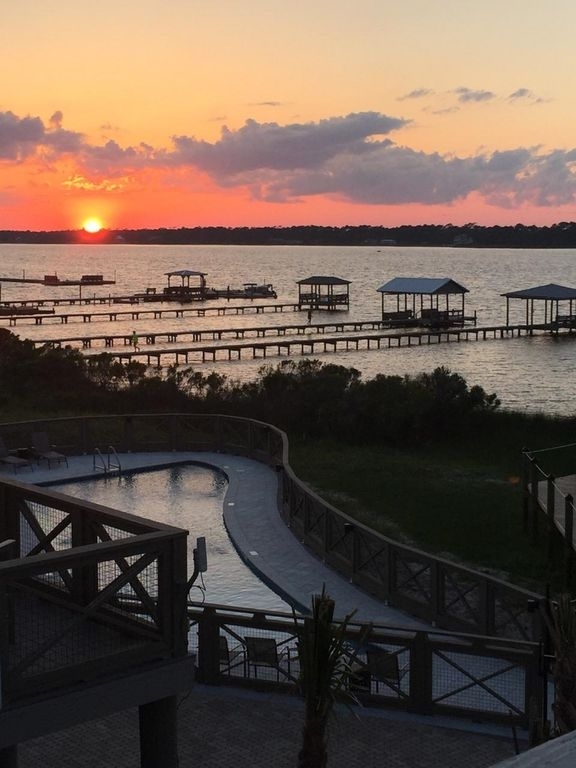 Sunsets over the lagoon are breathtaking. The kids loved having the pier to fish from and the pool right down the steps. 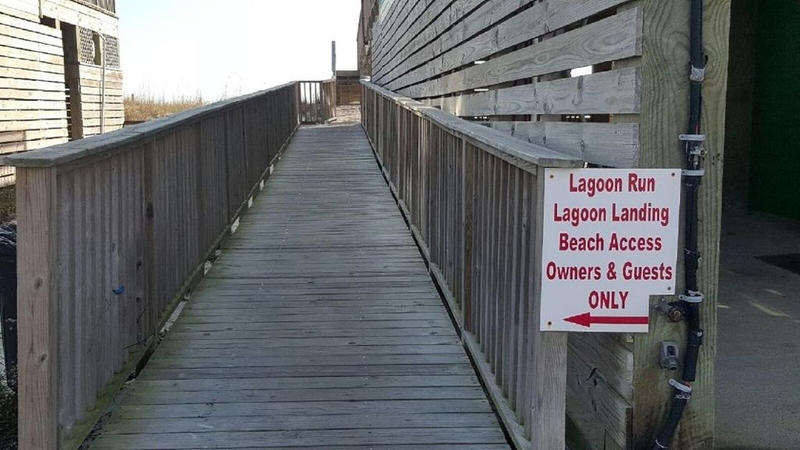 The beach was across the street with private access, so no need to drive and pay to park. We were in town from Indiana for the softball nationals and everything we needed was within 15 minutes from the condo. We had a much needed, relaxing family vacation. We definitely plan on coming back! This condo was so comfortable. Furnished well - very spacious. 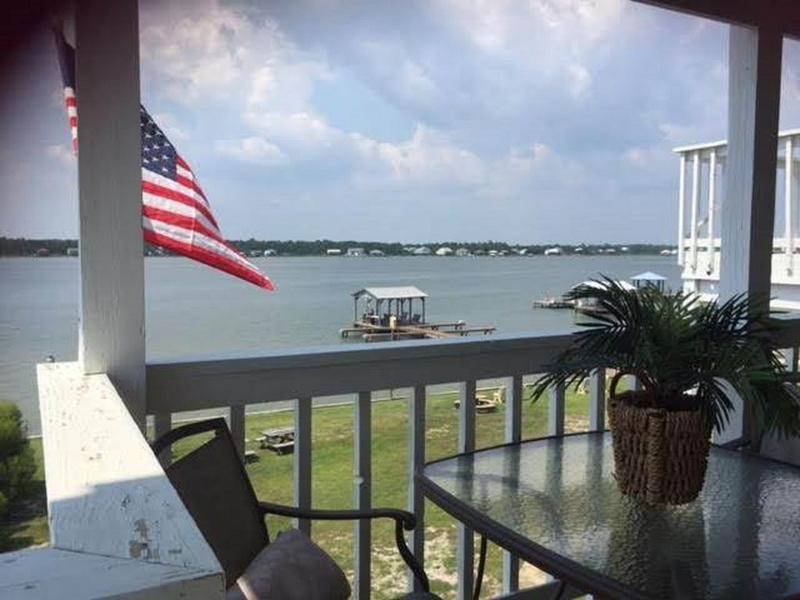 Short walk to the beach on your private pier and then be sure to come back home to your private balcony to watch amazing sunsets at night! We will definitely book again next year! Oh.... the owners are very good to work with also. Every need taken care of. Thank you! Everything was great. Enough room for everyone. It was great. Surpassed all of our expectations! We were very happy with our stay. The location is awesome. The beach is just across the parking lot and the lagoon is directly behind. The dock has swings and is very peaceful. You can see the pool from the deck which is great when you have children. Overall it was perfect for 6 adults and 2 children. 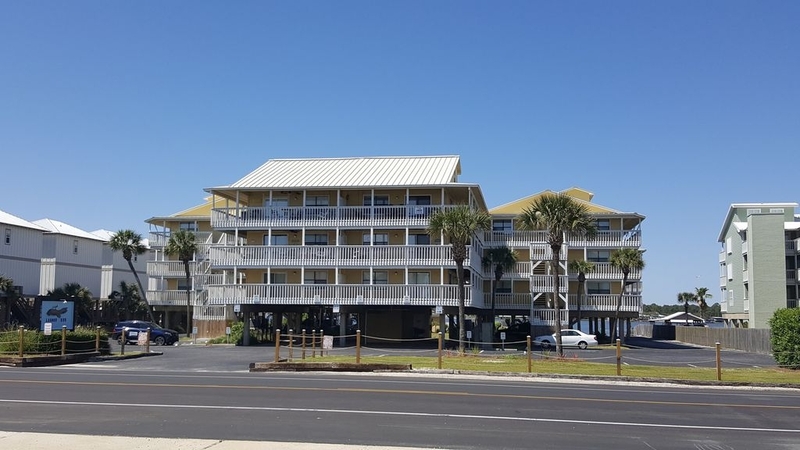 We always look forward to returning to the lovely 15th floor Sanibel Condo-1502. The condo is always clean and very well taken care of and outfitted with lovely amenities. 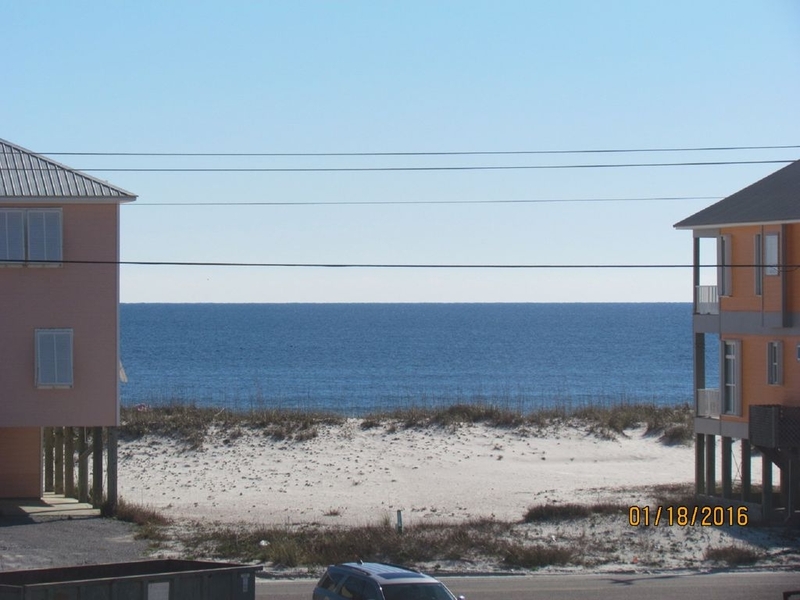 The views are stupendous.....waking up in the morning and looking out over the Gulf of Mexico to see the awesome sun rise and the various beach life and ocean life going on below. Each trip we see different ocean life from dolphins cruising just off the beach, the Osprey pair that nest on top of the Sanibel to schools of herring being rounded up by the dolphins out in the Gulf creating a feeding frenzy for all the fishes and birds of all kinds diving in for their share....hey its the beach life. One our favorite places to vacation is 1502 Sanibel....we keep returning.